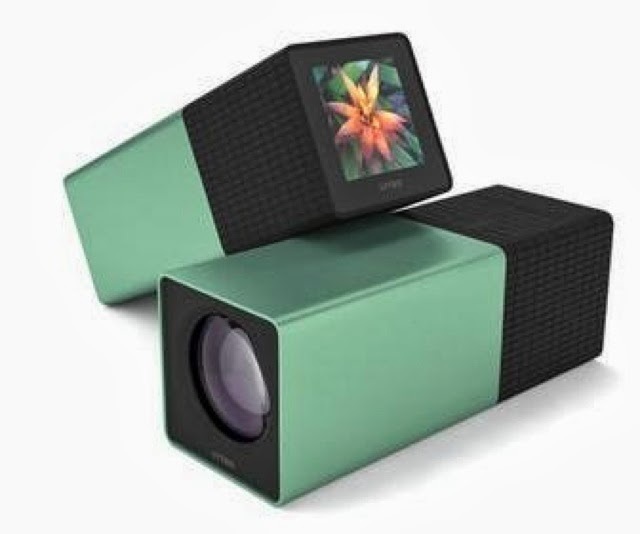 Lytro - the innovative camera manufacturer that introduced light-field photography to the masses goes higher-end with their new Illum camera. I first blogged about these guys almost 10 years ago. They get some points for perseverance! What usually stinks in these cases are the fact that customers who made deposits or had equipment in for repair can be SOL. My former colleague, Ramesh Raskar, has created a very vibrant center for imaging research at MIT's Media Lab. Definitely worth keeping an eye on! After many years of trusty service, my Coolpix P-3 has gotten tired. The lens creaks when it zooms and though it takes great pictures - it is missing a lot of attractive features found in the latest generation of DC's. When Woot had the DMC-ZS10 for $199 (refurb) with a 4 GB card and case - I jumped. Too early to tell - but this is what I had been talking about 6-8 years ago. To many shutterbugs - this issue had become moot as their primary snapshot picture capture device in the smartphone where GPS and location are elegantly integrated into the device. The issue with a standalone digital camera had always been how to fit a communications-oriented module into the architecture of a pixel processing device. So far, the ZS10 has been performing well. I hear battery life if an issue (not surprising since the batter pack is tiny - so I've already ordered a backup. Picasa 3.8 has no problems reading the location tags and putting the pictures on the Places map. Will keep you posted as I take more photos. Looks like I have not been paying much attention to this blog for a while............ Blogger stopped supporting FTP publishing last year and some clever folks decided to try to hijack my blog which even after almost 4 years of inactivity - was still getting traffic. While I seem to have gotten the posts back, looks like I'll need to do some link repair to get the images working again. I have now been using the Eye-Fi card, from Eye-Fi, Inc. for a few weeks and though it does some things very well there are several major issues that keep it from being a "gotta have" product. The Good: I must complement the company on their packaging and user experience. Installation was very smooth and easy and their Eye-Fi Manager control panel and web interface is clean and easy to use with excellent online help. Their email support was prompt and knowledgeable. At $99 for a 2 Mb SD card, it is approachable for photo enthusiasts. When the Eye-Fi is paired to a wireless (Wi-Fi) network and inserted into the SD slot of your digital camera. It automatically uploads pictures from your card through the network to the Eye-Fi servers which in turn send the files to one of many photo sites supported by the service (like Facebook. Flickr, Picasa Web, etc.) and/or to a folder you specify on your desktop. You configure these destination options using the web-based Eye-Fi Manger. In my tests using several Nikon Coolpix models, this worked flawlessly. If you have taken pictures while out of range of a wireless network you are paired to, the card is smart enough to queue those files to upload when you are connected. The Eye-Fi card is an ambitious project and a clever implementation. Trying to get a card to communicate with a wireless network and run a program to manage uploads over that network in a device that doesn't know that all this is happening is no small feat unto itself. On that score the Eye-Fi card does a great job - though this lack of communication with the camera creates some major limitations on how the card can be used. The Bad: The first limitation has to do with how the card is paired with a wireless network. To do this you remove the card from your camera and put it into the supplied USB reader which needs to be plugged-in to a PC or laptop. The card then sniffs out the available networks and allows you to add a network profile for that network. Network pairing can only be configured from the PC/laptop. Network-based security keys are supported but services requiring a login (like a T-Mobile hotspot where you need a username and password) are not. This means you need to take your laptop with the card to every location that you will want to pair the card to a network. For me this was great for my home network or the one at the office but it eliminates one of the visions where you could hop on any Wi-Fi network or go to Starbucks to upload your photos. The second limitation is the inability to select if a specific photo is to be sent to the network or not and as importantly, the ability to select where it should be sent. In a single photo-taking outing there may be pictures I want to send to a public service like Flickr and others that I just want moved to my PC. Conclusion: It is too bad that the Eye-Fi card has to operate "blindly" when inserted in your camera. I totally understand why they had to do this. 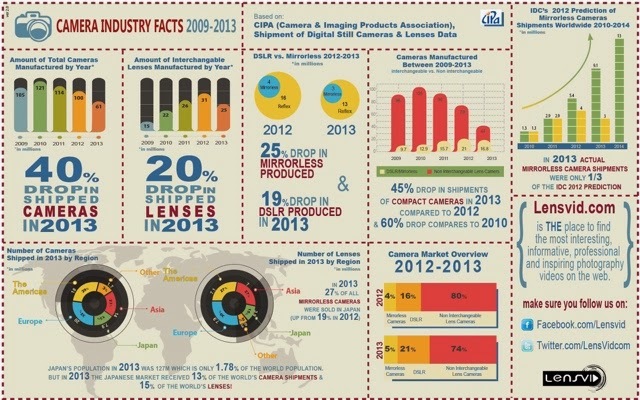 Digital cameras are not "open" devices where Eye-Fi could make use of the UI and screen of the camera. Hopefully they will be able to continue to be clever and come up with a work-around for pairing to a network like T-Mobile's hotspots without actually connecting to that specific network. That will still be hard since once the card is in your camera, you have no UI or way to get feedback on how the Wi-Fi part of the card is working. If you want to always send all of your photos to the same destination sites, you don't like messing with cables or docking stations and you are often in places that have a Wi-Fi network that you can use your laptop to pair with then the Eye-Fi is for you. For what it does, it is a well executed product. Just make sure you think through if you can live with the limitations. One might see digital camera vendors adapting their in-camera software and UI to be Eye-fi aware so that if the card is detected in the slot, the is access to some basic UI. That will take time to get that type of integration and the camera vendors may go directly to adding Wi-Fi to their bill-of-materials (along with GPS chips we hope!). This is where camera phones like the Nokia N95 what have built-in WiFi have a distinct advantage for mobile photo takers - the Wi-Fi is integrated with the phone's UI so you can select and configure Wi-Fi network access on the device and if Wi-Fi is not available, you always have the cellular network. If you really want to need to upload photos in real-time from almost anywhere, an N-series Nokia (N73, N81, N93, N95) or SONY Ericsson Cybershot camera phone today is a better option. Eye-fi, a Silicon Valley startup announced that they have closed a $5.5 million dollar A round of venture financing. I first read about these guys last year and signed up for their beta in October (though wasn't selected). They are estimating that a 1GB Eye-fi SD card will be $100 - I just saw 1GB SD cards in a Sunday circular for $14.95. The idea of being able to instantly get my pictures from the camera to the web is appealing to me (hence the name of this blog!). I've tried a number of previous attempts including a SONY Clie with a Wi-Fi card, I still own my Nikon P3 (who's Wi-Fi I gave up on trying to get to work). It just seems to me that there is a lot more complexity to this Wi-Fi/SD marriage than meets the eye. (1) Though I really like the idea of getting some of my pictures posted quickly to Flickr, it is maybe one in 5 - not all. It is still very important for me to get my original files on my desktop (and then onto my backup drive) so this is really not an obvious substitute for my cable. (2) What happens if I am on a trip and am shooting more than 1 GB worth of images/video clips using multiple SD cards or I'm somewhere that might not have a Wifi connection that works. Unless I use the Eye-fi card exclusively, how do I manage transmitting my pictures on different cards? (3) If I do use the Eye-fi card exclusively, how do I get the pictures to my PC? Do I upload and then sync back to my PC? (4) Do the pictures go directly to Flickr or are they going through some intermediate site controlled by Eye-fi (that I would no doubt need to pay a subscription fee to use) and are then being relayed to the sites that I select. (5) How does one manage the options for the Eye-fi through the cameras UI? Lets say I want all my pictures to be sent to my personal storage area in the cloud but I want to tag only certain ones to go to Flickr - some I want to be public, others private, etc. Maybe Eye-fi's strategy is to prove out the software and platform with the SD card but ultimately their business is to license that SW and platform to camera or mobile phone vendors who integrate Wifi into their cameras/camera phones as a native feature or make Wifi available as a dongle (this is actually my preferred option - hope someone from Nikon reads this blog!). I do question the long-term need for connected cameras that are not integrated with a phone (that may also have Wi-Fi capability). Though my recent experience with the Samsung A990 3.2 Mpixel phone from Verizon was pretty bad, phones from Sony Ericsson and Nokia are starting to deliver all the image quality and performance you need for most snapshots or photoblog posts. Plus they have an integrated keyboard for labeling and tagging, a more open environment for 3rd party applications (Shozu being one such example) and more of them have built-in GPS for automatic geo-tagging. I wish the Eye-fi guys luck as I'm very pro sharing and getting the pictures off the camera and in some cases published to the web. I'm just not sure this specific product as a Wi-Fi/SD card for $100 is going to be a big winner with more capable camera phones coming on strong and such a cost competitive market for SD memory. If this is your first visit to this blog, I'll let you know up front that I am partial to Nikon cameras. That said, Nikon has once again hit the mark with a great marketing campaign for their Digital SLR products. Nikon has been reporting great financial results based on largely on the success of their dSLR products. Profits were up over 50% last year. Some of this success can be attributed to the growing demand for better digital cameras as people are actually trying to use DC's and finally starting to understand the limitations of point-and-shoot models. The rest of it is just plain great marketing. You don't see it that often any more so it motivates me to write about it when you do. Their latest campaign was to give 200 people in Georgetown, SC a Nikon D40 and let them take pictures. They then took the pictures along with profiles of some of the people who took them and created a really beautiful web site. One of the things that has always fueled my interest in photography is the emotive power of imagery. Cameraphone pictures are great to instantly send a visual message to someone and that has its own power but for pictures that really communicate beauty and emotion, nothing compares to a dSLR. Are we seeing a renaissance of the "photo hobbyist"? All I know is many more of my friends are sporting Rebels and Nikon D's these days and that is a good sign for photography as a means for preserving memories and communicating with a view through a lens. If you have not yet taken the plunge, there's nothing to wait for. A D40 can be had for just north of $500 and the D40x for around $700 - now you will then need at least $300 worth of accessories (flash, CF/SD cards, bag, etc.) and before long you will be online looking for the best price for that telephoto zoom lens (the good news is those have come down in price too - Nikon has a 55-200 zoom with VR for less than $250). Digital Railroad (DR) launched the Beta of their Marketplace today. DR has already built a great platform for photographer's and agencies to manage their own assets/archives, workflows and storefronts - now with the launch of the Marketplace, all of those archives can be searched through a single sign-on for photo buyers. The real impact of Digital Railroad has been to return the control of their work to the professional photographer. Previously, DR subscribers were able to use the platform to promote their own archives, now, by participating in the Marketplace, they will be able to gain exposure to traffic from more photo buyers. Photo buyers and flocking to the Digital Railroad Marketplace because of the 1000 members and 50 agencies who are putting up the freshest and most desirable content on attractive terms (set by the seller). There are others who are trying to aggregate photographs and photographers but they do not have the caliber of professional work available on Digital Railroad. The big 800 lb gorillas in this business have built bloated and inefficient mechanisms for marketing content to buyers. They have acted as "gatekeepers" and "toll collectors" to the free flow of commerce between the buyers who are looking to purchase content and the professionals who are taking the pictures. The Digital Railroad platform eliminates that friction and provides a much cleaner solution that will result in more and better content for buyers at better prices while returning more profit to the photographer or agency. Keep and eye on Digital Railroad’s Marketplace – it has potential to carve out a major role in the future of how photos and other digital content are discovered, bought and sold. Michael Arrington over at TechCrunch had a post a few days ago on the data that was being collected by Flickr about the different cameras used by their users. I hadn't see this before and have had some fun poking at the numbers. Flickr currently claims to host about 230 million photos. Though some users can withhold their EXIF data from view and some photos have has it stripped out by a desktop app, I'll wager that these numbers are still a pretty good representation of the overall community. In adding up the numbers from the major brands I found a few surprises. Even though Kodak and SONY are top selling consumer digital camera brands, they are very under represented in the universe of Flickr photos. SONY has only two models with over 1 million photos, Kodak does not have any, their top model has 695K photos. Compare that to Nikon, with 8 models (not just dSLRs) with more that 695K photos and Canon has 33 models with more than 695K photos! Canon is still the leader by a wide margin in overall digital camera sales (see all the numbers) with a projected 20,650,000 sales in FY2006/07 (ending in March '07). That's a 22% increase over last year. This is more than double Nikon's total DC sales of 8,500,000. Nikon is coming on strong in the more profitable dSLR market with close to a 50% increase over last year up to 2 million units closing in on Canon's 2.45 million. Nikon has had a big hit with both the D50 and D80 this past year and a new D40 with a $599 MSRP is on the way. I really like the idea of automated backup. I've been using an external hard disk with Retrospect and Picasa 2.0's Backup to DVD-R for my photos but when I was running the Carbonite Beta there was something very nice about knowing that all of my photos were sync'ed with the backup service. My big issue with these services is that regardless of what they call themselves or where their data center is (Swiss Photo Bank.....), these companies are mostly all startups (PhotoSite has been around the longest and is part of United Online (UNTD) the same company that brings us Classmates.com and NetZero). It is true that storage costs have come down dramatically and new storage architectures make providing services like these much more practical, as some point these companies will need to make enough money to cover their costs once the VC money is spent. Though I have worked at both startups and big companies like Fidelity and Kodak, I want a brand like Kodak (or HP or Google or Yahoo) to be the keeper of my photo archive. I probably won't get invested in a service until it is available from a "trusted brand" at an affordable price.